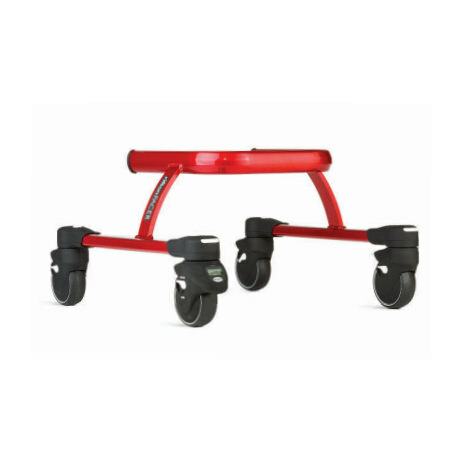 Rifton mini pacer gait trainer is designed for a wide range of clients with varying abilities, Pacer trainers are renowned for their modular design, durability, and flexibility. Pacer gait trainer provides outstanding support and control as they walk. Children alike learn to initiate forward motion and maintain forward momentum, building skills and muscular control with every step. Pacer easily carries into the trunk of a car to their modular design, Pacers encourage forward progress for clients and the places they want to go. Pacer is designed for easy rear access to make transfers into and out of this mobility walking aid as smooth as possible, whether the client will face forwards or backwards in the frame. The mini Pacer frame is not height adjustable, but hand loops, handholds, or arm prompts can be height-adjusted to meet the child's needs. Floor to top of arm prompt 15½" - 20½"